I didn’t need any reassurance about this particular well-mannered classmate of my son even though I had no inkling until then that he had any relationship to the late General Abacha. However, my son was probably concerned that I might have been trying to judge the boy by my prejudices against his grandfather. That was one message I took away from the testimonials he was reeling out. As amused as I was, that also taught me a lesson about how we judge others, not necessarily by who they are but by the family or ethnic group they belong to or the religion they practice. Ever since the seasonal violence for which herdsmen are protagonists started about three months ago in some sections of our country, I have followed most of the comments and had been worried about the slant. Among herdsmen, who must be in hundreds of thousands, perhaps even millions, we have some criminal gangs roaming the country, killing innocent people. If we don’t isolate and deal with them as the criminals that they are, but would rather criminalise the entire herdsmen in our country, then we are unwittingly helping to give them group protection by default. Converting the national security threat posed by some herdsmen to another North-South/Christian-Muslim issue with which to score cheap political points is a dangerous thing to do and I could see that very clearly. While some political leaders in the South were exploiting the tragedy to send out inciting messages that propagate hate and revenge, some highly placed Northern defenders were also mobilizing behind the herdsmen who have remained marginalized and pushed to the fringes of existence by a succession of political leaders from that same region. Given the foregoing, I set out last week to moderate the discussion so that we can all see this as another national problem that tasks all of us. Unfortunately, one sentence in the piece left me open to the charge that I did not care enough about the victims of the mindless violence, especially the people who were killed at Ukpabi Nimbo community in Uzo-Uwani local government of Enugu State. I regret that misunderstanding. Before going further, I must state that this piece is not about appeasing those who don’t share the position I take on issues; it is about accountability to my readers. 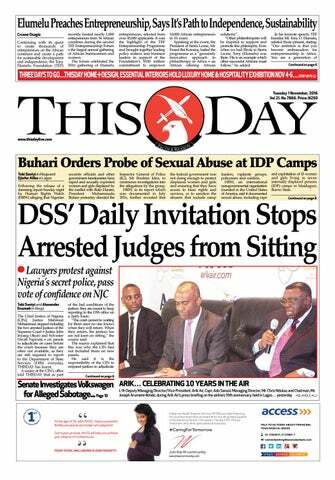 Ordinarily, because the weekly THISDAY editorial board meeting which I chair holds every Wednesday, I try to write my column the day earlier (Tuesday) but last week, I didn’t even start writing until Wednesday evening. It was a very hectic week for me and while that cannot be an excuse, it was partly responsible for why the very idea that I wanted to convey, that of the victims who deserve justice, as against politicians who are using the tragedies to exact vengeance, was lost. That happened because as I was rounding up the piece around 10pm, I saw the statement from the presidency on the Enugu tragedy. In the earlier draft, the kernel of my argument was on President Muhammadu Buhari’s silence ever since the herdsmen violence started. Here then was I, confronted with his first intervention which, even if belated, was still strong. I had a dilemma: If I incorporated the statement, it would make nonsense of my argument; yet disregarding it would be dishonest. I elected to go with it but to do that, I also had to remove some critical paragraphs without the benefit of time to read and reflect. “As you may already know, I am one of your ardent followers. Besides the quality and depth of your thought and interventions, one other thing that endears me to your writings is that you always seek to balance your views as a moderator. 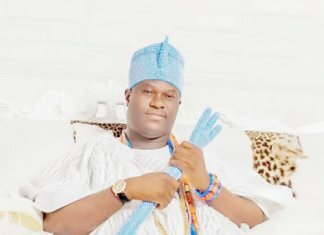 However, on the topic of today, please permit me to strongly disagree with this particular statement of yours: ‘I am also aware that most of the hysteria about herdsmen are political and may be no more than a campaign of calumny essentially targeted against the president, just because he is a Fulani man’. “The threat of herdsmen is more real and widespread than is being reported in the media. My father in-law, who is about 65 years, and whose only means of livelihood is farming, has had several unpleasant tales to tell about the herdsmen. Just two months ago, his entire farm was not only destroyed but the seeds/seedlings were methodically uprooted from the ground and nothing (I mean nothing) was left. This was not a one-off incident. At that point we had to advise him to stop farming. From the foregoing two letters, what is still clear to me is that this is a law and order problem as I identified last week but the line about “public hysteria” became offensive simply because I had removed the paragraphs that would have put it in context. I ought to have removed it too, but forgot to do so. I apologise because I understand the pain of families who have been caught in the crossfire of this violence. Notwithstanding, we still need to find a solution to what has become a national security challenge and that can only be done in an atmosphere of reason, not of anger, recriminations and name calling. “It is no accident that these conflicts between pastoralists and sedentary farmers are intensifying around Nigeria’s Savannah belt with its borders from the southern parts of Kaduna State to the north; Enugu north in the south; parts of Ondo State to the west and parts of Taraba State to the east. Benue, Kogi, Nasarawa, and Plateau States are also captured within this widening geography of the livelihood conflicts. Such criminality and livelihood conflicts affecting pastoralists and sedentary farming communities have also led to loss of lives and properties in the many other parts of Nigeria from Abia in the South to Zamfara in the north. “The causes of the conflicts are traceable to three broad but related factors. First, over the past half century, many natural sources of water in much of Nigeria’s Sahelian Belt dried up, forcing pastoralists to move south in search of grazing and water for their herds. The Lake Chad, for instance, shrank by over 90% from 25,000 square kilometres to less than 2,500 square kilometres in a period of less than 50 years, displacing over 60 million herds and affecting nearly 30 million people, many of them pastoralists. As they moved, pastoralists took with them into the Savannah and tropical rain forest zones their identities of faith, language, ethnicity, production methods and land use patterns peculiar to Sudan-Sahel belt. Natural tensions inherent in this contact were bound to escalate in the absence of reliable mechanisms of mediation. “Second, the post-independence government in especially the former Northern Region designated over 415 grazing reserves now spread across the 19 Northern states. However, most of the designated reserves were appropriated by corrupt means by political and private interests, thereby creating dearth of land for pasture and grazing, that they were created to address. This must be redressed urgently and the reserves must be recovered. “Thirdly, as the conflicts rose and fatalities mounted, the federal government had posited that it is working ‘silently’ to resolve it. Due to this ‘silent’ manner, many communities perceive that there is a deafening indifference to the conflict, the growing fatalities and the dangers that these pose to our country, our communities and people. As a result, affected communities of both sedentary farmers and pastoralists have increasingly resorted to self-help, vigilantism and violence. What we need is a more robust approach that carries both farming and pastoralist communities along, re-assuring of them of protection of their lives and livelihoods”. The killings and conflicts, according to Odinkalu and Bello, can be ended once the government, at all levels, is ready to provide a long term policy framework for urgently addressing food security and climate change as a challenge for livelihood and human survival in our country. But they also have an admonition for critical stakeholders, including journalists, if we must resolve this problem: “cross-community responsibility and dialogue will be required and the assistance of the media will be critical. Some of the reporting of these incidents has contributed to escalating tensions among the communities rather than dousing them. It is important to recall here that pastoralism is not a monopoly of any community or single ethnic group in Nigeria. Anyone can indeed own, keep or farm livestock. As a livelihood tendency, over 16 ethnic groups in Nigeria are identified with pastoralism; tens of millions of Nigerians are engaged in both sedentary and migrant farming”. This then brings me to the heart of the matter. In addressing this problem, we must put the burden on the fact of criminality rather than the ethnic complexion of the perpetrators of crimes that brought and continue to bring huge sufferings to innocent people and communities. How come the attacks and raids of the herdsmen almost always catch our security people unawares? Given the long tradition of the nomadic cattle herding in the country, we ought by now to have acquired enough human assets among the herdsmen as to rely on flawless human intelligence to preempt and prevent these attacks. Indeed, that our security agencies are failing on this crisis is evident from the fact that they have not even interrogated the challenge to understand what exactly we are dealing with and I will cite just one example. A church member with whom I am very close was recently kidnapped somewhere in Kogi State while travelling to his village in Ondo State. Throughout the tricky negotiations with them while my friend was in their captivity for five days, the kidnappers spoke in Hausa and of course, the conclusion of everyone was/is that they are Fulani herdsmen. However, from the experience recounted by my friend (after his release and following payment of ransom, of course), though they are Hausa-speaking, the kidnappers also claimed to be graduates and they spoke impeccable English. In justifying their crimes, according to my friend, the boys spent the whole time moaning about the conditions of the country and bad leadership. There was nothing to suggest that these opportunistic criminals own a single cow! What that tells me is that as Boko Haram makes life and living difficult in some sections of the North (that is assuming we discount the marauders from Chad and Niger), many young people are moving south and those of them with criminal tendencies are plying their trade. Does that now make all of them herdsmen? I do not think so. Besides, there are hundreds of Fulani settlements in the southern part of the country. The statistics I got last week from one of the security agencies is that there are about 1200 of such settlements and here we are not talking about the migrant (nomadic) pastoralists. Finally, the issue of herdsmen is a security challenge that also comes with economic opportunities. A former staff of World Bank assisted Projects in Nigeria who has dealt with this problem in the past sent me a mail, part of which reads: “I like the part of your article on ‘Gaa Okanla’ although you left the fact that Baba Okanla and his children probably spoke only Yoruba and Fulfulde. These types of settlements also exist in several communities in the South-east. I know for a fact that there is a major settlement of Fulani herdsmen in Adada-Nkpologu-Adani-Iggah axis with other minor settlements in Awgu-Nkanu-Abakaliki axis all in Enugu state. They have lived peacefully for years. The Federal Government under a World Bank assisted Second Livestock Development Project (SLDP 1987-1995) established two Ndama Cattle Ranches in Adada in Southeast and another one at Fashola, a town not far from Iseyin in Oyo State in the South-west. Ndama are trypanotolerant cattle (that have some resistance to the disease Tryponosomosis caused by Tsetse flies) which were imported from Senegal. For a government that has made all the noise about reviving agriculture, we can turn this crisis to a big opportunity. Nigeria’s cattle inventory will grow in numbers and body weight the moment we begin to modernise the mode of production. That can only take place in the context of settled ranches supported by research extension services. That incidentally is the only route towards the economic emancipation and empowerment of the herdsmen as a unique ethnic and cultural component of the Nigerian federation. As a nation, we must begin to pay attention to the economy/poverty dimension of this crisis that may have just started. On Tuesday, the World Bank warned that acute water shortage across the sub-region, but particularly in Nigeria, may deepen the clash between farmers and herdsmen in our country. Titled, “High and Dry: Climate Change, Water and the Economy” the report highlights the fact that there has been an increase in the frequency of clashes between herdsmen finding water and grazing land for their cattle in Cameroon, Ghana and Nigeria in recent times, while pointing in the direction of herders from Mali, Niger and Mauritania as perpetrators of the violence. Water, the report says, could multiply the risk of conflict while hike in food prices caused by droughts will most likely inflame latent conflicts and drive migration. Interestingly, there is no shortage of ideas when it comes to dealing with this challenge. In the last one week, I have received several mails from readers who have proffered different solutions but the one by Mr Benjamen Osawe stands out in terms of the issues to address which he identified as: Ranch infrastructure; technology of fodder, land regeneration and water production; sociological/anthropological challenges, especially those pertaining to transition from roaming to sedentary pastoralism, structure of families and clustering; indigenous rights and compensations; security of ranches vis-à-vis cattle rustling; comprehensive animal census and survey in the country; public communication and messaging for stakeholders buy-in as well as immigration issues related to trans-border migration of pastoralists across West and Central Africa into Nigeria. For sure, we cannot continue to encourage the violation of the rights of settled landowners and farmers whose means of livelihood now bear the brunt of cattle grazing, whether in the south or in the north. But we must also deal with the security component of the current crisis because the herdsmen that I grew up knowing carried only sticks and dane guns to hunt, just like the farmers they usually encountered and contended with. Now, we hear of AK-47 and other high-calibre weapons. Just recently, soldiers from the Guards Brigade of the Nigerian Army, Abuja apprehended some of these men who claimed to be on a mission to recover their stolen cows. Assorted ammunition, including pump action rifles were recovered from them. Nothing has been heard about that incident ever since. Where did those guys get their arms and ammunitions from? Who exactly are they and what was their mission? The danger of not getting to the root of such issues is that it could encourage farmers and communities in the savannah belt to make their own private security arrangements which would be nothing more than a resort to self-help. Right now, there is a subtle but growing online campaign to “go protect your land” which is no more than an incitement for communities to start acquiring arms. When that happens, anarchy is at the door for our country. That is why we must see this as a national challenge that tasks all of us, whether in the south or in the north, and regardless of the faith we profess. In a gesture of goodwill that is commendable, Borno State Governor Kashim Shettima on Tuesday led a delegation to condole with the government and people of Enugu State on the tragedy. His words at the occasion were also very soothing and on point. But the man who deserves greater accolades for showing leadership at a most difficult period is Governor Ifeanyi Ugwuanyi. Even when he belongs to the opposition Peoples Democratic Party (PDP), he has placed our national unity above all other considerations. However, the man who bears the ultimate responsibility in this crisis is President Buhari, who must rise up to the oath of office he swore–to defend all citizens from sources of insecurity–not because of any sense of guilt arising from his ethnic affliction, but rather because he is the President of Nigeria in whose hands lies our collective destiny.